Our range of products include polished granite, polished granite tiles and polished granite slabs. We make use of high tech polishing machine for designing our range of rustic yellow Polished Granites. Entire range of products offered by us is made following international industry standards. These are widely used in various applications of wall-cladding, roofing, flooring and various other types of interior and exterior applications. We are amongst the leading manufacturers of Polished Granite Tiles that are available in various sizes according to the client’s requirement. Widely acclaimed for uniformity and optimum compressive strength these tiles are perfect for embellishing architectural edifices, monuments and residences. These tiles can be availed in various colors and at leading price. We also provide malachite floor tiles, wall tiles, lapis lazuli wall tiles & sodalite wall tiles. 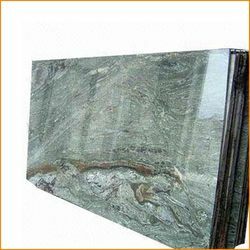 We supply a wide range of quality Polished Granite Slabs, which finds diverse application in interior and exterior decoration. Our granite slabs are polished to perfection, are extremely durable and possess high gloss. 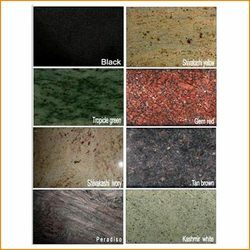 Looking for Polished Granite Products ?